Did Steve Gesell game the city to get his settlement? 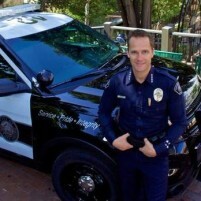 San Luis Obispo’s embattled outgoing police chief Steve Gesell had applied for a new job several months prior to City Manager Katie Lichtig placing him on administrative leave, a job he was first in line to get while simultaneously seeking a large settlement from the city under the assertion he wanted to stay in San Luis Obispo. On May 8, Lichtig placed Gesell on paid administrative leave while asking the city council to permit staff to negotiate a settlement. City sources claim Gesell threatened to disclose information about city management if he was not provided a six-figure settlement. On May 12, the city council instructed Lichtig and city attorney Christine Dietrick to negotiate a settlement with Gesell during a closed session meeting. On Thursday, the chief agreed to a $120,000 severance package that terminates his employment with the city as of May 22. At the same time, Gesell was the leading candidate for the chief of police job in Chico, city sources said. Nevertheless, while negotiating for the settlement, Gesell’s attorney David P. Warren said Gesell wanted to continue his job as San Luis Obispo’s chief of police. “We are very concerned that the council is being led to believe that there is a mutual agreement to end the relationship. This is simply not the case,” states the letter dated May 1 and delivered to the city council on May 12. Earlier this year, CalCoastNews reported that Gesell violated city travel reimbursement policies on several occasions, often making the city foot the bill for conferences that turned into family trips. Shortly afterwards, CalCoastNews received reports that Gesell was looking for a new job because of issues with Lichtig and concerns over further review of city managements’ travel and dining expenditures. In response to several emails from CalCoastNews in early 2015 asking about Gesell’s ongoing employment, both Lichtig and Gesell responded with claims that rumors about Gesell possibly leaving the city were false. On Feb. 12, Gesell emailed police department staff a reassurance that he was not seeking employment outside the city. “I have no plans to separate from the city and expect nothing more than to continue to serve as part of our stellar SLOPD team and city,” Gesell said in an email to police department staff on Feb. 12. Chico city staffers are not releasing the exact date Gesell first applied for the Chico chief of police position, though they did say it was during the application period that ran from Jan. 17 to the end of February. On Thursday night, Dietrick sent out an email permitting staff to offer personal opinions about Gesell to Chico staffers, though as part of the settlement agreement they could not speak on behalf or as an agent for the city. On Friday, members of Chico’s Police Officers Association were in town interviewing current and former police officers regarding Gesell’s performance and background. Albeit not perfect, Gesell is light years ahead of the knuckle-dragging barbarian that was hired by Jim App, the City Manager of Paso Robles. 120k is not shi# if he wanted he could have gotten double or triple that, look at city of Paso Robles they gave Lisa Soloman 250k. Steve has 22 years as a commander in Phoenix Arizona and time served in San Luis Obispo, he’s not hurting for funds he could take a mall cop job and still be in the 6 digit income bracket. More tax dollars down the drain by the City of SLO….when will people wake up and “fire” the elected officials and STAFF responsible for this mess and abuse of taxpayer dollars. Look away….Styrofoam ban….nothing to see here….